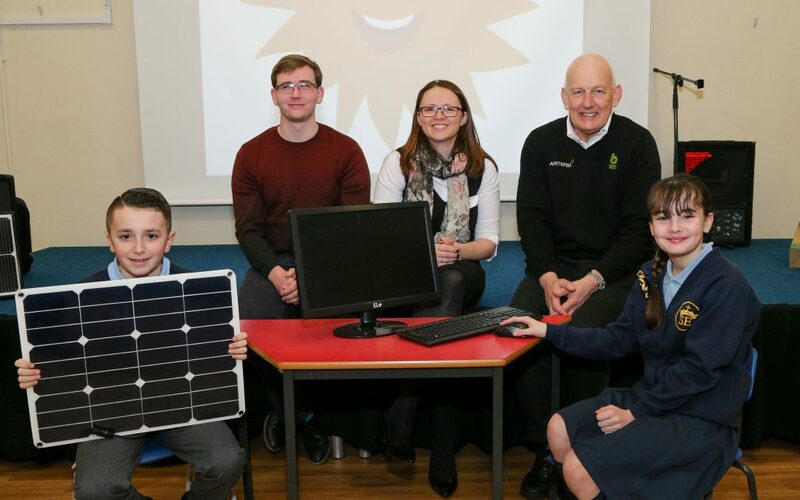 A school in Merseyside has unveiled a new Solar-powered PC, courtesy of an award-winning North West technology firm. Extreme Low Energy (ELe), based in Formby, completed the installation at St Elizabeth’s RC Primary in Litherland ahead of an event this week hosted by the school’s Eco Council. The Eco Council is made up of pupils at St Elizabeth’s and they meet to discuss how they can be greener and save energy in the school. In partnership with Barden Energy, ELe has provided the school with an Intel Celeron mini PC, a 19in LED monitor, keyboard and mouse along with the mini-solar panel which powers the technology. “ELe first heard about the school’s Eco Council last autumn and wrote to them to say how fantastic we thought their projects like cycling to school and recycling waste were. “With help from Barden Energy we were able to supply a PC and the solar panel which will allow the students to harness the sun’s energy and power the computer. St Elizabeth’s is the first solar-powered PC ELe has fitted, although the company is in talks to potentially install many more in schools both here and in developing countries.